Owner and head chef Þórir Bergsson is a firm believer in naturally leavened (sourdough) bread makes all his bread on the spot. It's incredibly good. In our humble opinion, Bergsson Mathús is one of the best things that has happened to Reykjavík's culinary culture in a long time. This wonderful and relatively new restaurant offers healthy, delicious and exciting food for breakfast, lunch and dinner, and for a very reasonable price. The owner and head chef of Bergsson Mathús is Þórir Bergsson, an experienced chef who buys most of his ingredients straight from the farm, ensuring that everything is as fresh as it could possibly be. Bergsson Mathús takes pride in being a proper breakfast restaurant. In the morning you can get chia-porridge, oatmeal with berries and homemade muesli, green juices, shakes and other nutritious, healthy choices to start your day. 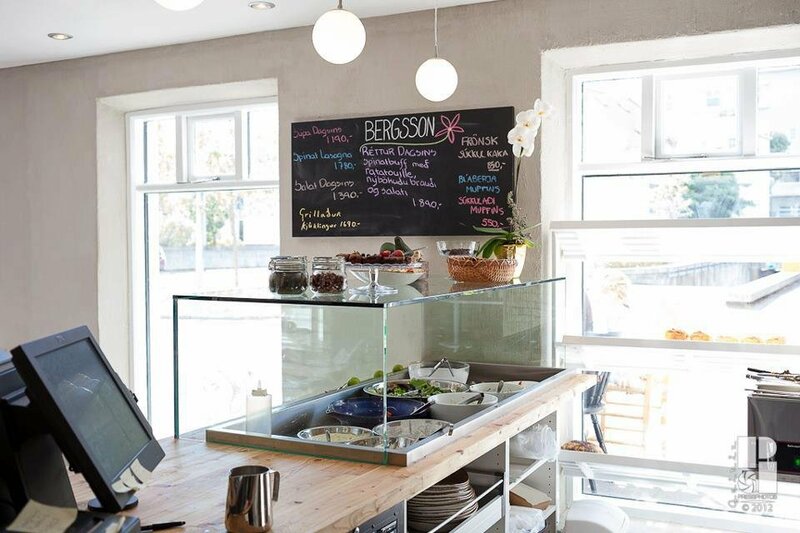 On the weekends, Bergsson Mathús is definitely the place to go for a hearty brunch. They always serve 'dish of the day', an always healthy and delicious meal choice. The menu varies from week to week but is consistently amazing. To give you an example of what you can expect, we can tell you that last week's menu consisted of ovenbaked Tandoori chicken with raita, naan bread and spicy rice, an authentic Italian lasagna with garlic oil and foccacia bread, wonderful Vietnamise pancakes filled with chicken and vegetables, served with lime-chili sauce, slow cooked lamb with rosemary and garlic, harissa and root vegetables, Moroccan chicken with cous cous and a salad. Is your mouth watering yet? Your money, time or tastebuds won't be wasted at Bergsson Mathús.